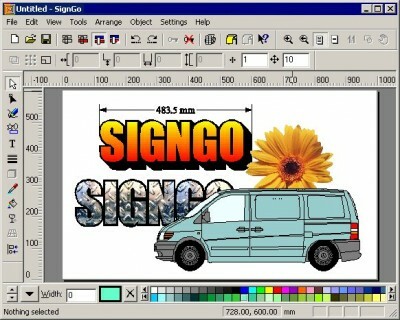 SignGo signmaking software has everything you need to make professional signs. Create text, shapes and freehand graphics at any size to cut in vinyl. 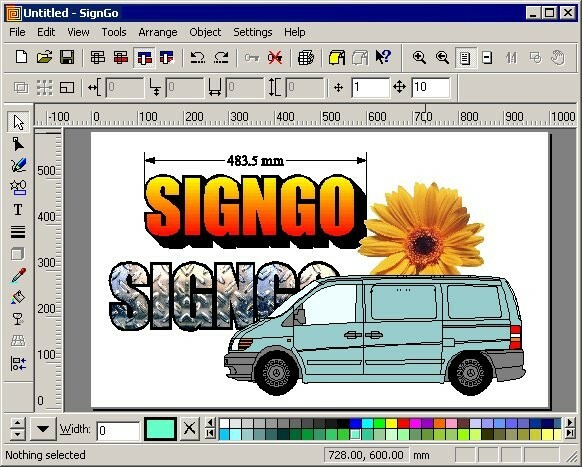 SignGo includes essential sign making tools such as InlineOutline, shadows, scanning, tracing, welding, text on arc, node editor and much more. Import or paste graphics from other apps. and use the powerful cutting utility to drive your cutting plotter. All popular cutting plotters are supported. FreeSign offers a large-format cutting and printing tools now offer the kind of performance that people whose business is signs and signmaking cannot afford to do without. MagiSign allows you to create custom signs in 4 simple steps using Adobe Illustrator CS.